This nice 41 year old man had a bike racing accident with sharp dental trauma. 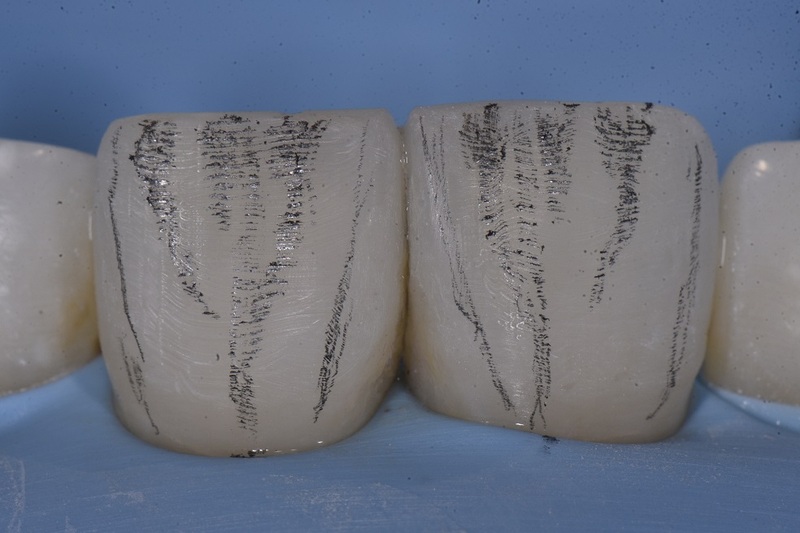 Teeth 11 and 21 feature 30 degree distal rotations with pre-operative prominent MIB aspects. 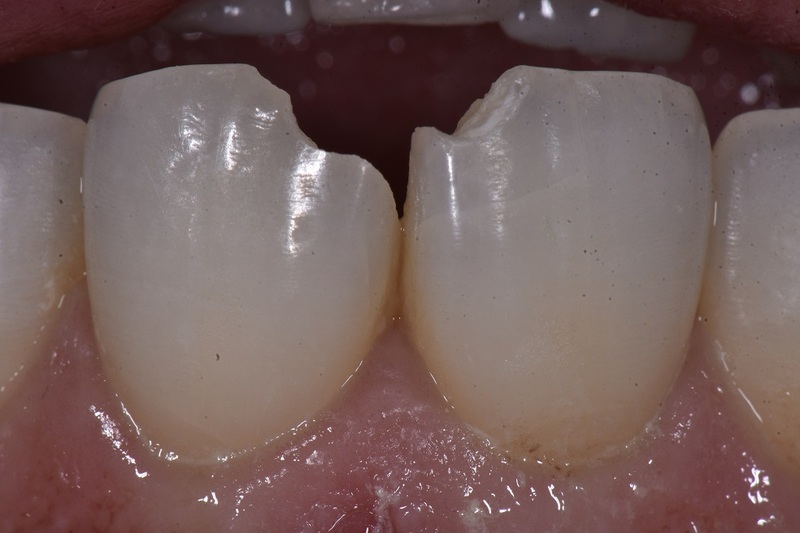 Tooth 21 featured an uncomplicated enamel-dentin oblique shear fracture extending 50% towards the pulp. Tooth 11 featured an oblique shear enamel fracture on the MIBL aspect. Shade selection for the case: Kerr Harmonize A1E, A2D (the lighter shade button is A1D). 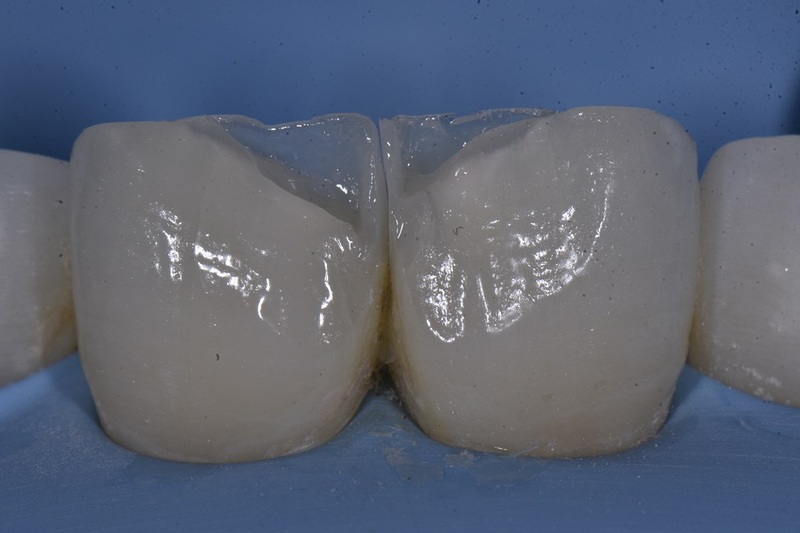 Following full rubber dam isolation, unsupported enamel was smoothed and an infinity bevel placed on the facial before micro air abrasion using 27 micron aluminum oxide. 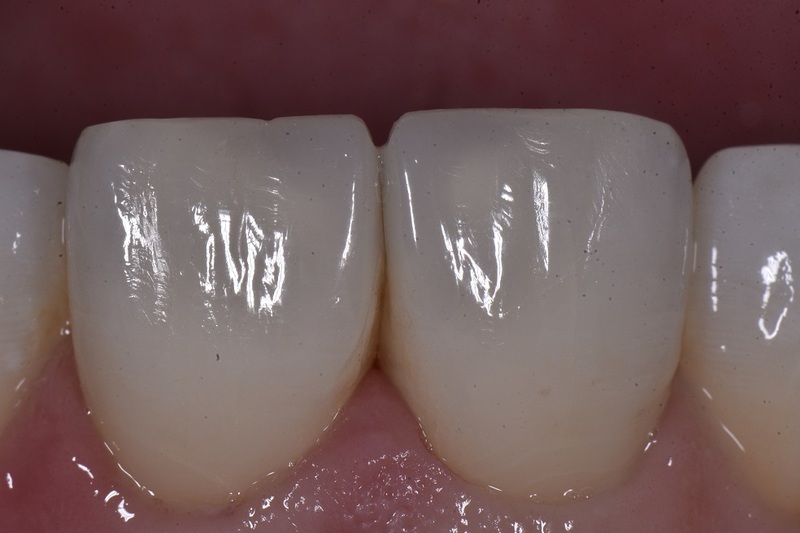 A total etch technique was used utilizing Optibond Solo Plus for this case. The lingual shelves were freehanded via the pre-crimped Mylar technique and the restoration layered with the aforementioned shades to full volume. Speaking of volume, how loud is that polish!